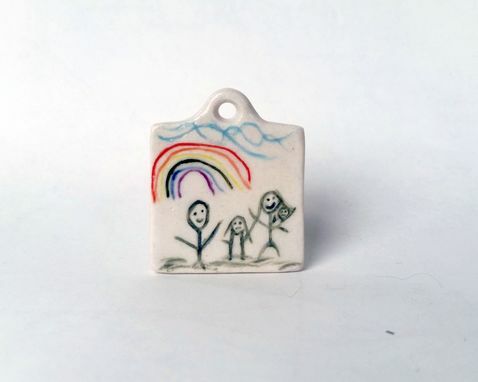 Have your child's drawing turned into a pendant that you can wear close to your heart. 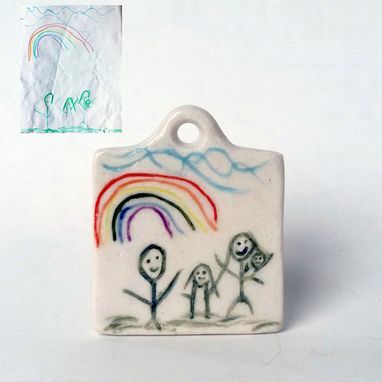 Your pendant will be made from the highest quality porcelain in the shape of your choice. Simply send me an image of your favorite drawing and I'll carve and permanently stain it to match the drawing as close as possible. 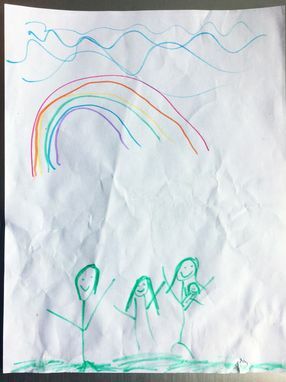 I can also add an inscription into the back for you. The final piece will be fired twice and glazed with clear glaze for an elegant and hypoallergenic final result.